Happy 25th anniversary to the Central Park Zoo. There has been some type of animal collection at the zoo’s present site since the 1860s , but our precious zoo celebrates its rebirth as part of WCS’ three City Zoos on August 8th. Some of our amazing animal collection (and me) have been around the whole time. Happy Anniversary to us! Come visit. The Fall and Winter Zoo classes and workshops are available on line for you to peruse and to sign up. There are two adult photo classes (Breakfast with the Birds and a Fall Foliage workshop) and a grandparents/kids photo class running in the fall and winter. Check out my photo workshops and the array of other choices available for your family and friends. Come join the fun. So surprised that you guys are only 25 yrs old I would have thought you were 125 yrs on the go. Lovely photos as usual.. Happy birthday Enjoy the celebrations…. Great photos as always!!! I love the one of Amaya and Biru!!! The one of Chocolate is great, too! I haven’t been to the CP Zoo in over a year!!! I have to renew my membership and get there soon! I miss it! Awesome photo Judith as always. 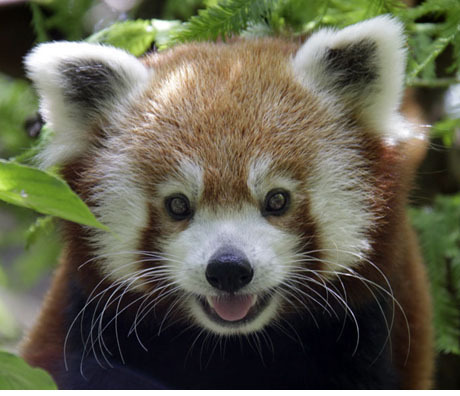 Is that Rocco the red panda? That is Biru, our current male red panda.